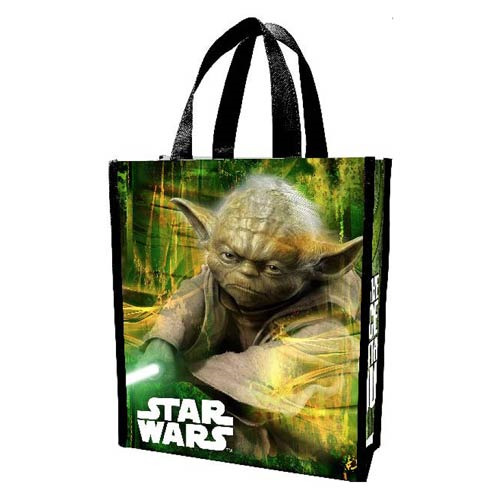 The Star Wars Yoda Small Recycled Shopper Tote features the small green Jedi Master wielding his lightsaber along with the Star Wars logo. Measures 12-inches tall x 10-inches long x 4 1/2-inches wide. Made from polypropylene.